Launched in 2012, AMR Open Studios Tour has grown into a major art destination, forging new and unexpected connections between artists, and their patrons from near and far. Given its success in previous years, in 2017 AMR – Artists Making aRt ™ – Open Studios Tours is expanding to include some 41 artists on a map that spreads from Margaretville and Roxbury to Stamford and Delhi. 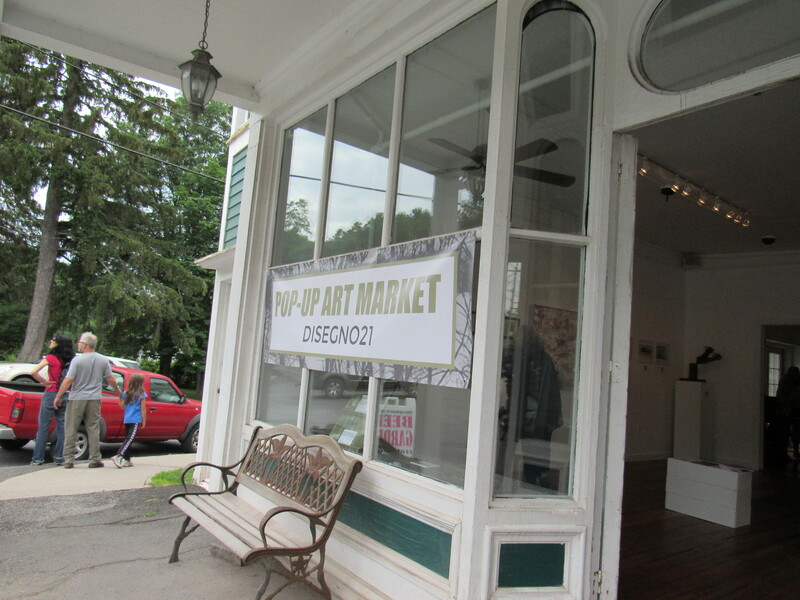 The tours take place on two different weekends: Saturday and Sunday, July 8 – 9 in Stamford-Delhi art community, and Saturday and Sunday, July 29-30 in Margaretville-Roxbury art community. 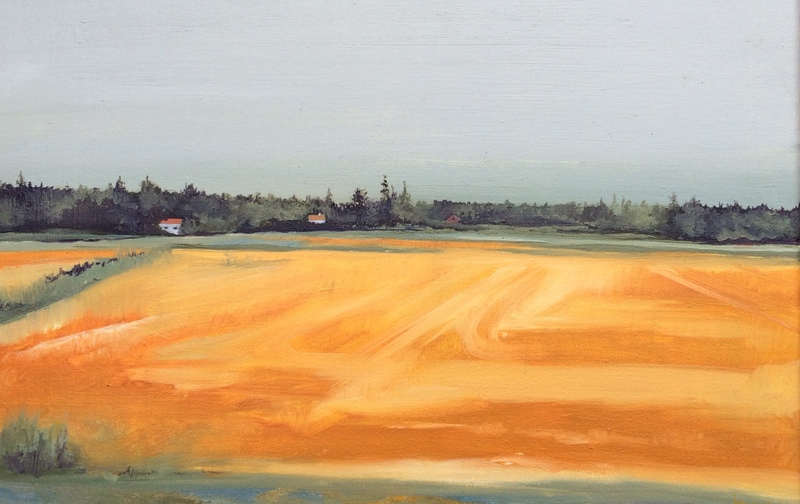 This weekend, Saturday and Sunday, July 8–9, from 11 am to 5 pm 18 artists in Stamford, Hobart, South Kortright, and Delhi will open their studios to the public, and show their working spaces, as well as demonstrate some of their techniques. 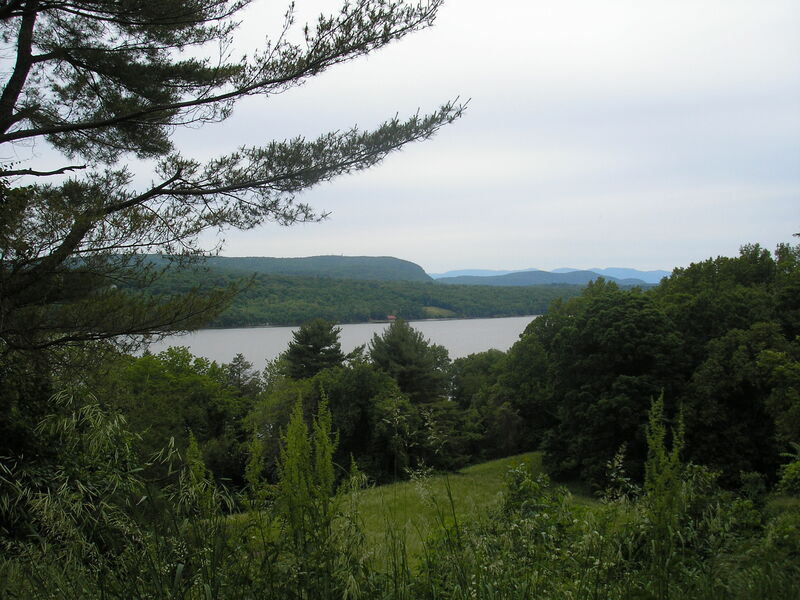 Located in a bucolic scenery, all these studios provide a unique experience for visitors to witness the creation of new works of art, and ask questions that only an intimate space like an artist studio would allow for. Participating artists include ceramicist Solveig Comer, painters Susan Goetz, Robert Schneider, and Tracy Jacknow, stained glass artist Barry Jacknow, woodwork artist John Virga, as well as Tim Touhey, owner of The Gallery on Main Street in Stamford. Ceramic Bowls by Solveig Comer. Contributed Photo. 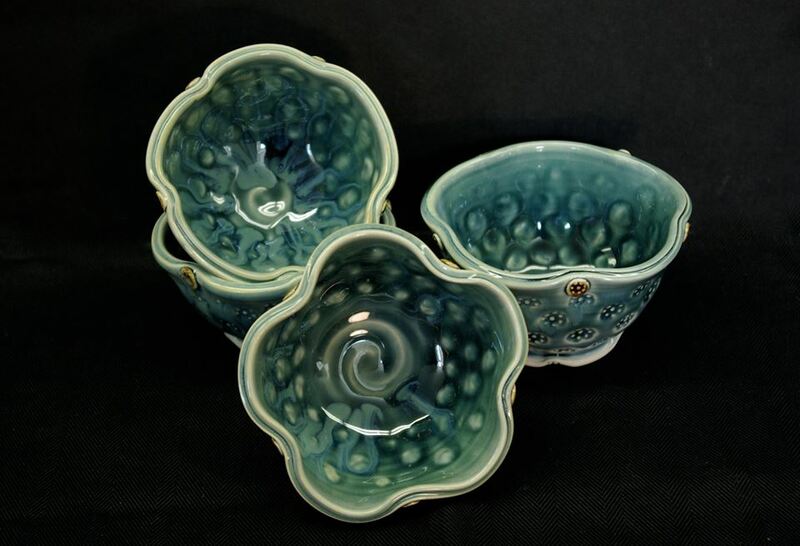 Ceramicist Solveig Comer took art as a minor in college while majoring in mathematics. Her first pieces were more cerebral, and experimental objects rather than functional, but that changed over time. Asked about how mathematics might have influenced her work as a ceramicist, Solveig explained that mathematics does help her think things through and solve visual problems, and also figure out proportions when mixing glaze, and making choices on new decorative pieces. But overall mathematics plays a role more on the business rather than the creative side of her profession. 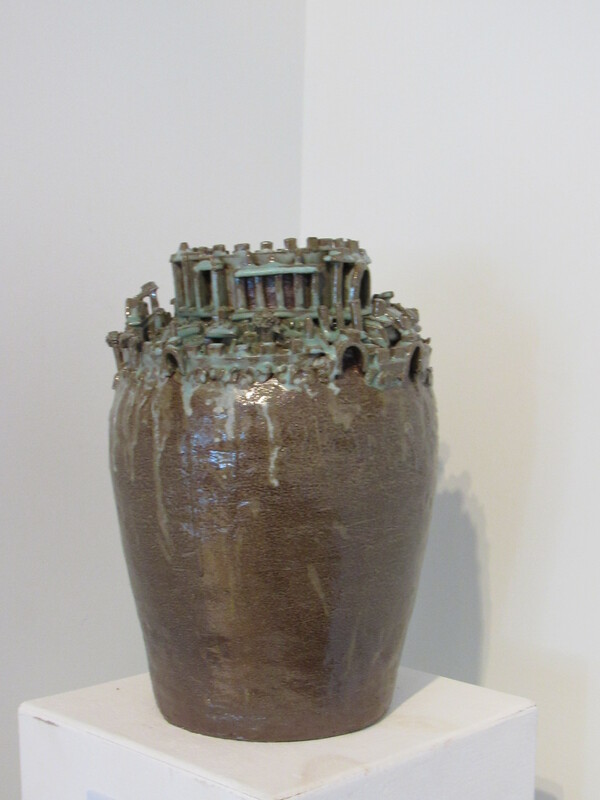 Although Solveig has made all sorts of ceramics throughout her career, in recent years she has chosen to gravitate towards mugs, hence utilitarian art, which sells well. Every year the artist introduces new patterns, and explores new color palettes that enrich her collection. 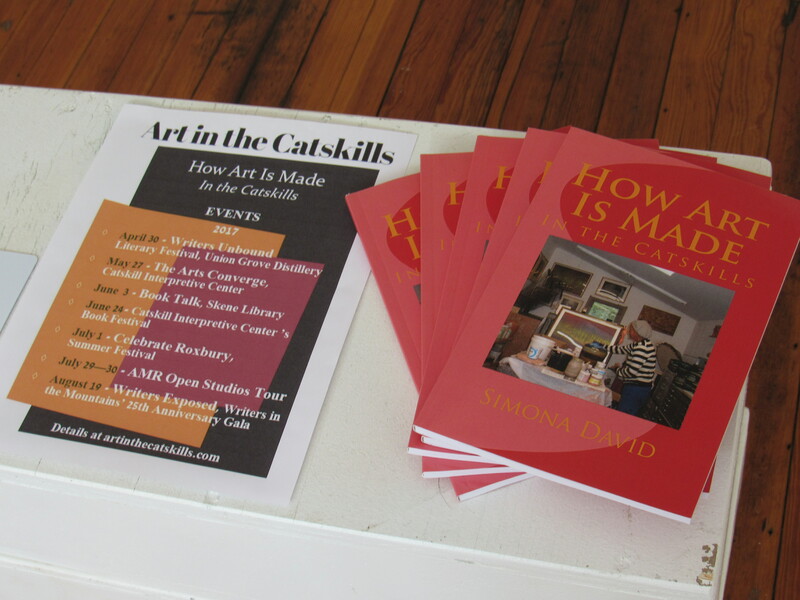 Solveig’s studio is located at 10986 County Route 18 in South Kortright. This weekend she will be showing side by side earlier, less functional pieces, some of which have never been seen before, and more recent pieces which illustrate the transition towards utilitarian art. It will be interesting to see the artist’s evolution over time, and how her style and interests as a ceramicist have changed. Also at Solveig’s studio visitors will be seeing works by multi-media artist John Virga; John works in woodwork and graphic design, and in his own words “provides classic form and functional goods for the 21st century.” To learn more about Solveig’s studio, visit https://www.mostpreciouspottery.com. 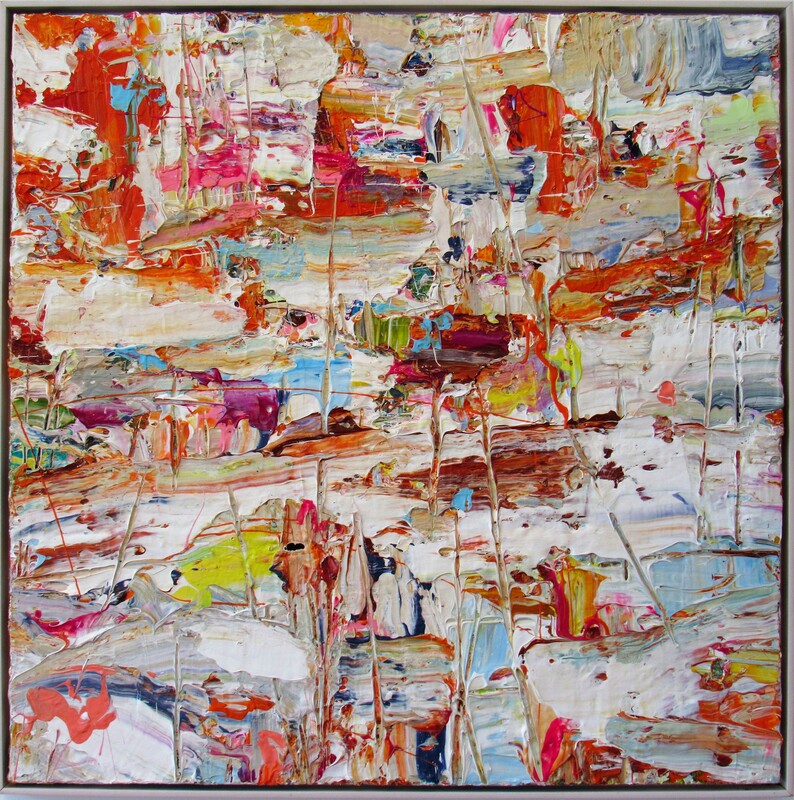 Painter Tracy Jacknow was born in Brooklyn, and raised in Long Island in an artistic family. Growing up in a community of artists, actors, and retired vaudeville performers, she took art at an early age: “It was a childhood of inspiration and creativity,” she remembers. “My early experiences gave me exposure to a world of creative minds and alternative lifestyles.” In college Tracy spent some time in Siena, Italy, and later in life she and her husband Barry Jacknow, who is a stained glass artist, lived in San Miguel de Allende, Mexico. Their time in Mexico left a strong mark on both their artistic careers. Tracy works in various media: watercolor, oil, acrylic, and collage. 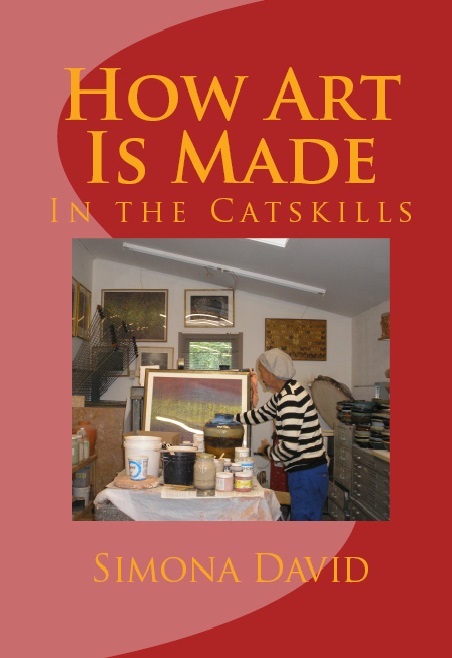 But in all of them nature is a constant presence – her travels around the world with her family, the colors of the Catskill Mountains, and her own moods have all influenced her work. 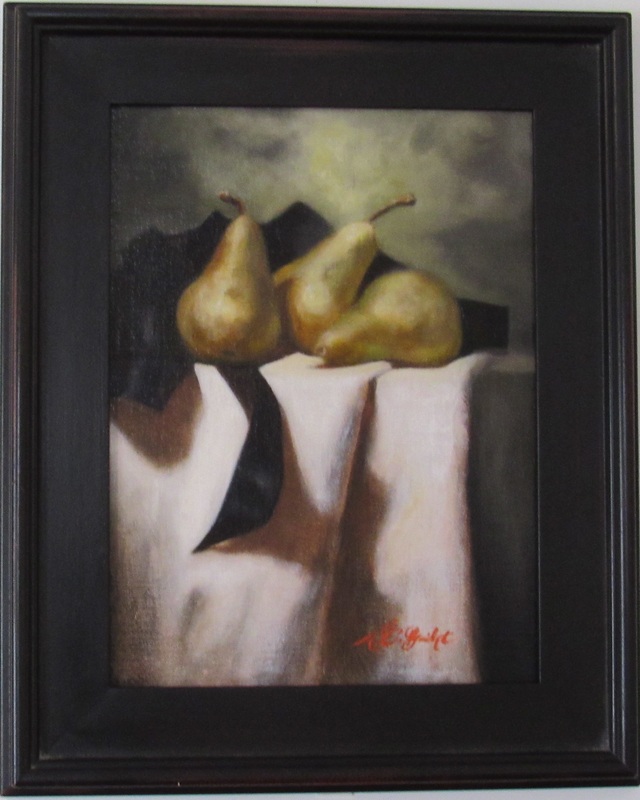 Although Tracy is in essence an abstract painter, her brushstroke and the use of light are reminiscent of Impressionism. 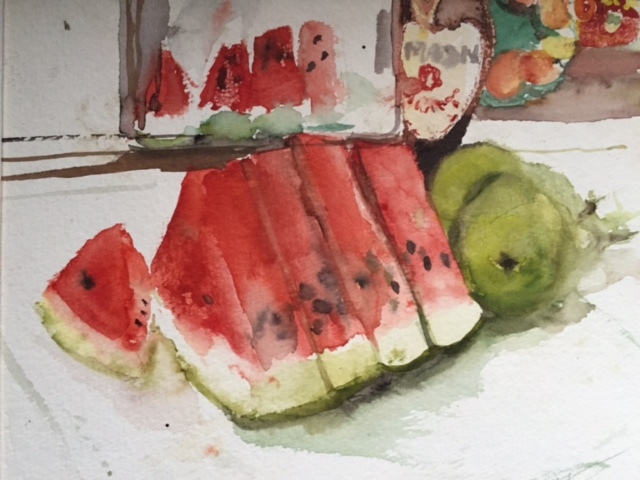 Her website is http://www.tracy-art.com/. Summer in Sweden by Tracy Jacknow. Contributed Photo. 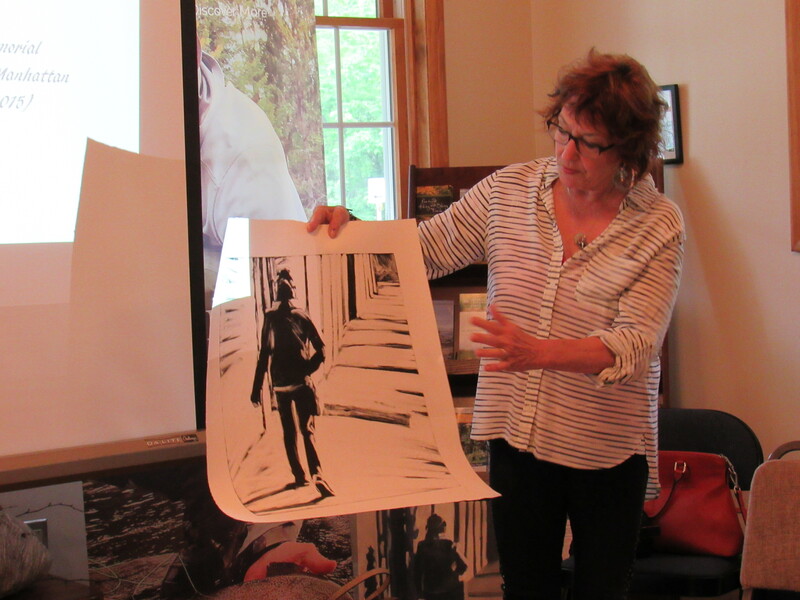 Painter June Lanigan, Tracy’s mother, founded MURAL Gallery in Stamford in the 1980s; the family has had a long connection with the area – June went to school in Stamford, and later on moved to Long Island. 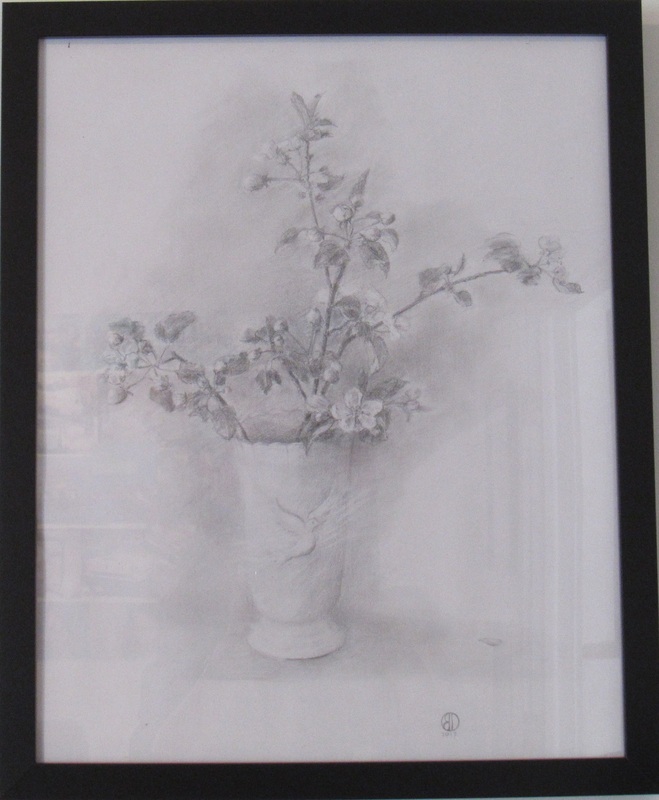 Primarily a landscape painter, June continues to produce works at the age of 91. This weekend she will be showing alongside her daughter Tracy. 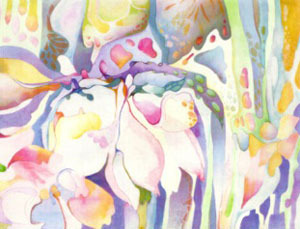 Watercolor by June Lanigan. Contributed Photo. Barry Jacknow, Tracy’s husband, has been working in stained glass since the 1960s. His inspiration comes from the Art Deco movement, and the works of architect and designer Frank Lloyd Wright. In fact, this year marks the 150th anniversary of Wright’s birth – events are scheduled throughout the year to honor Wright’s legacy. Barry learned the stained glass art technique in New York City, but refined his style while living in Mexico. He has come to master the technique, but sometimes struggles with his design choices; that’s when his wife Tracy gets involved and helps with the process. Barry will be demonstrating some of his techniques this weekend during the open studios tour. He sums up humorously “I don’t know much about art, but I know what I like,” as the saying goes. 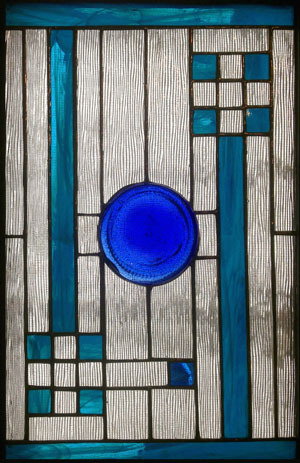 Art Deco Inspired Stained Glass by Barry Jacknow. Contributed Photo. Tracy and Barry’s studios are located at 138 Layden Lane in Stamford. Photo Collage by John Lenihan. Photo © 2017 Simona David. 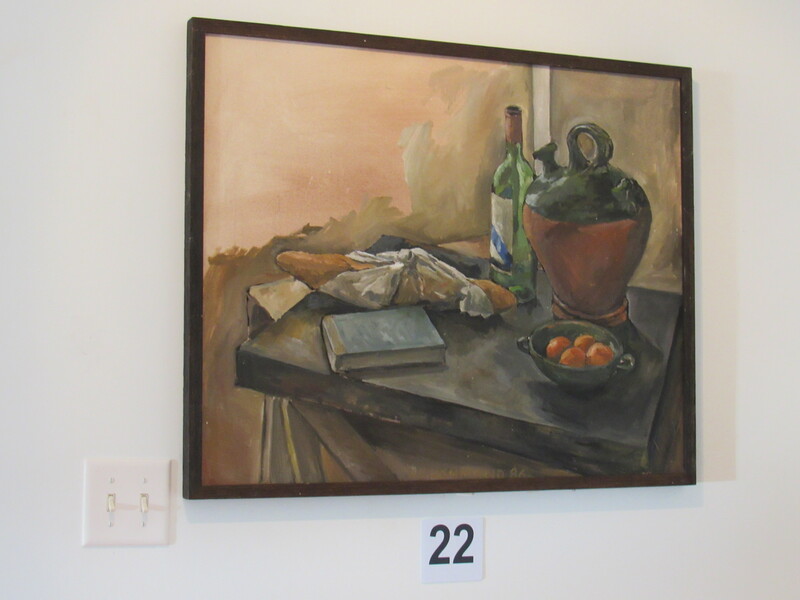 “Still Life with Bread, Jug, Wine” Oil on Canvas by Roshan Houshmand. Photo © 2017 Simona David. 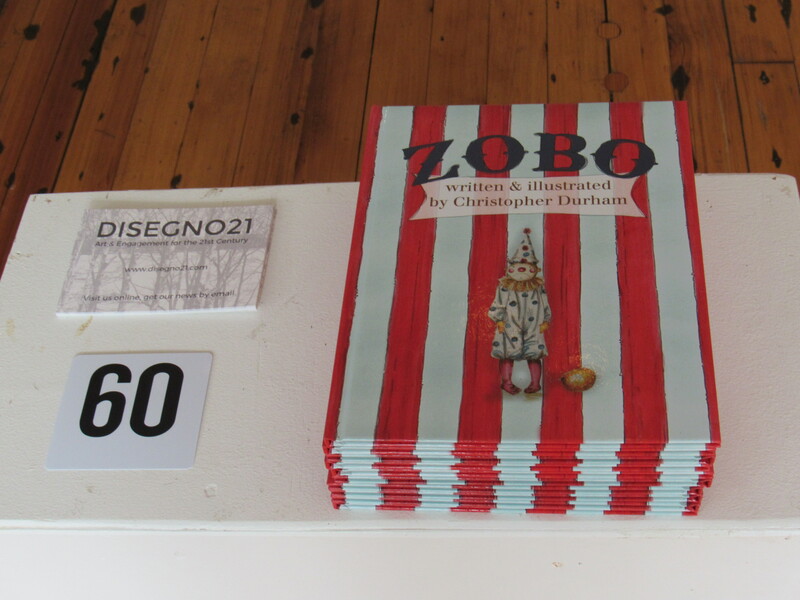 “Zobo” Children’s Book by Christopher Durham. Photo © 2017 Simona David. 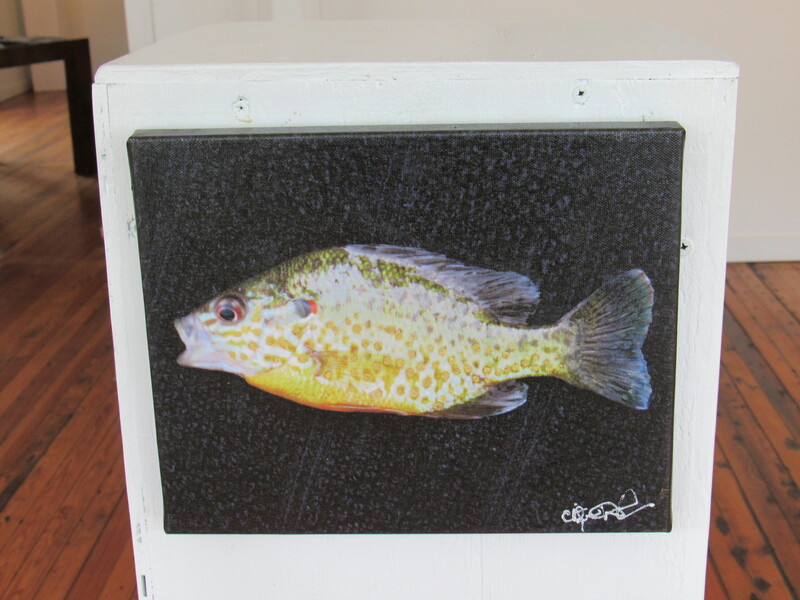 “Sunfish” by Christopher Durham, Canvas Print. Photo © 2017 Simona David. 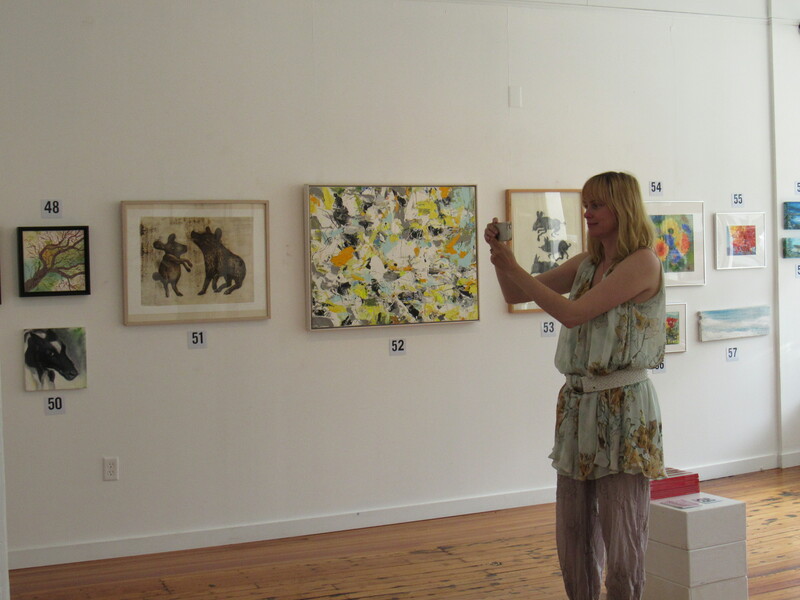 Pop-Up Art Show at Orphic Gallery Curated by Esther de Jong and Michael Guilmet. Photo © 2017 Simona David. 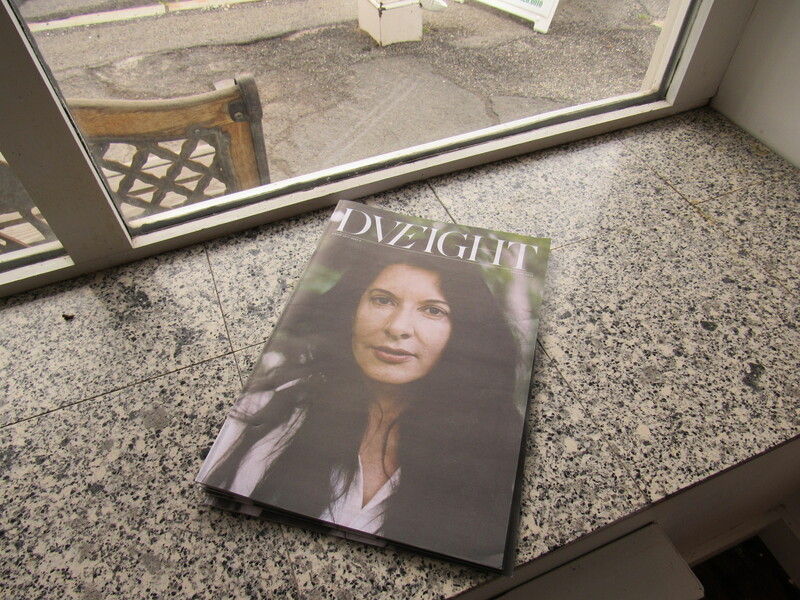 Marina Abramovic on the Cover of Dveight. Photo © 2017 Simona David. 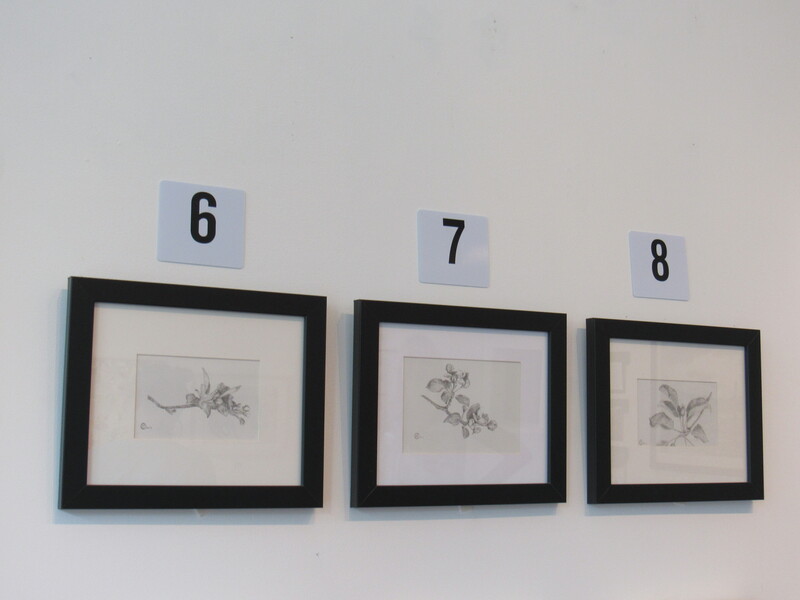 Catskill Style Botanical Drawings by Esther de Jong, Graphite on Paper. Photo © 2017 Simona David. 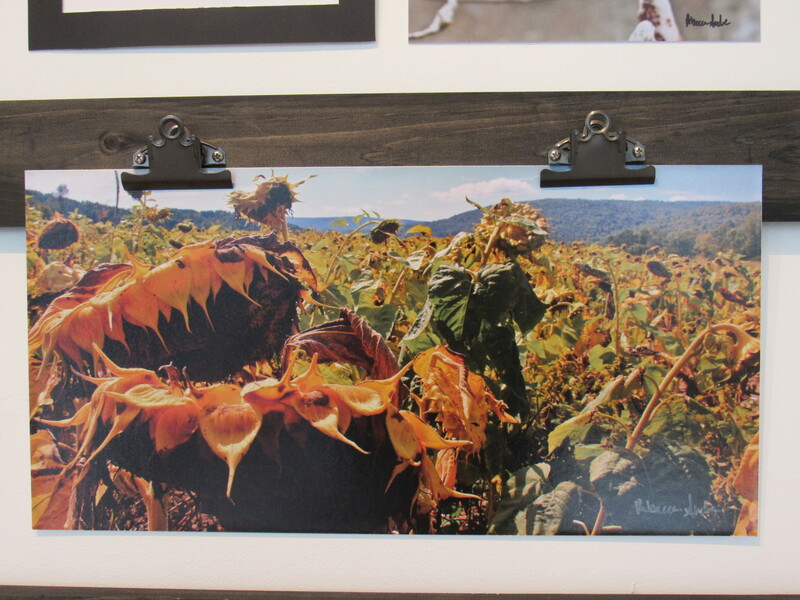 Schoharie County Sunflowers by Rebecca Andre, Digital Print. Photo © 2017 Simona David. 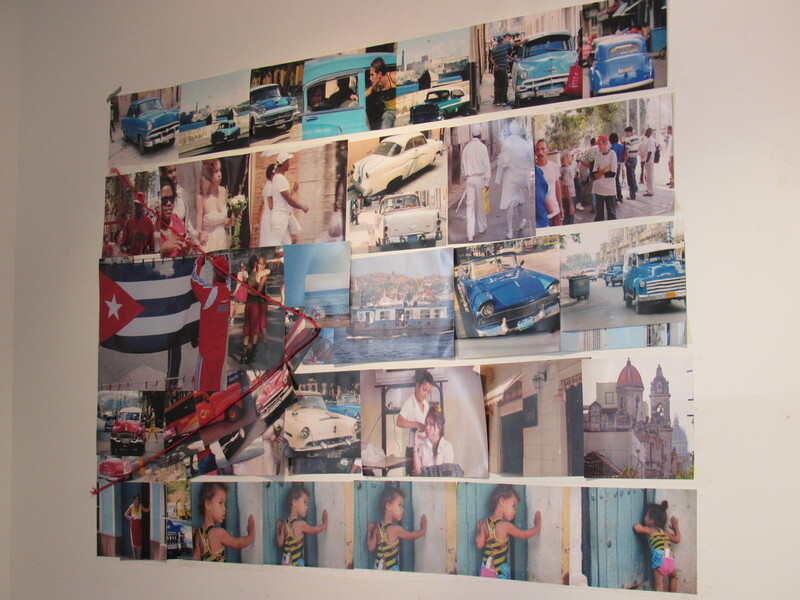 Art Show Sponsored by Disegno 21 at Orphic Gallery. Photo © 2017 Simona David.